Lathyrus cicera L. is one of the oldest cultivated plants in the world, originating in the Mediterranean centre of diversity. Together with its close relative, L. sativus, it is most likely the first crop domesticated in Europe, namely in the Iberian Peninsula and southern France. Today, L. cicera is sharing the destiny of numerous, legume, cereal and other once widely grown species, becoming largely neglected and underutilised, extremely sporadically cultivated for food and feed, with almost no breeding strategies and often escaping from local agricultures into neighbouring wild flora. Still, numerous in situ and on-farm investigations confirm that L. cicera has a remarkable infraspecific diversity, which, along with the existing ex situ collections across the world, proves as a solid basis for its improvement and reintroduction. There are sufficient resources for both developing new advanced cultivars and maintaining the locally cultivated and maintained landraces. 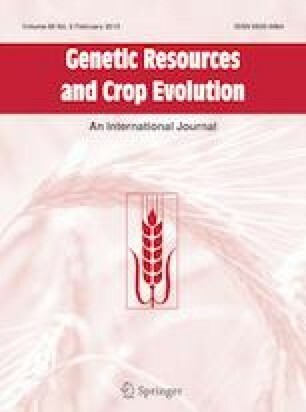 Lathyrus cicera has a considerable potential for producing more than 8 t ha−1 of forage dry matter (hay) and around 3.6 t ha−1 of dry grain, with a dry matter crude protein content in both surpassing 250 g kg−1, for a substantial reduction of the content of neurotoxin oxalyldiaminopropionic acid (ODAP), an enhanced resistance to various stress factors, such as drought, low temperatures, powdery mildew, pseudomonas, rust or crenate broomrape, for a safe inclusion into human diets and animal feeding and for various environment-friendly uses. Equally important for reintroducing L. cicera is the promotion of the currently rather rare regional folk customs and gastronomic festivals devoted to this cultivated plant, such as the Sagra della maracucciata, regularly celebrating maracuoccio, as it is called in the Chilentan dialect, in the Camerotan hamlet of Lentiscosa, in southwest Italy, with thousands of visitors from elsewhere and for more than a decade. The authors would like to thank Cucina Mancina, InfoCilento—Il Quotidiano del Cilento, La Cantina del Marchese, La Città di Salerno, La Comune di Camerota, La Frazione di Lentiscosa, L’associazione culturale Tradizioni Lentiscosani and Mr. Pietro Avalone for their vast efforts in disseminating the information about La sagra della maracucciata in Italy and worldwide. We would also like to acknowledge our colleague Dr. Bojan Zlatković of the Department of Biology and Ecology, Faculty of Sciences and Mathematics of the University of Niš, in Niš, Serbia, for his precious assistance in updating the knowledge about ecology of L. cicera.